OH, Jeffie, you're a lucky boy. Oh, oh, oh!! Rita is tickled pink to see this!!! She would LOVE to share a soft sofa with Jeffie!!! That sure is super sweet! It's like a "love connection" too cute! Oh boy, love is sure in the air here! When it's Valentine's Day, a dog's fancy lightly turns to thoughts of love. Very cute. Happy Valentine's Day. Love this! Have a great day. 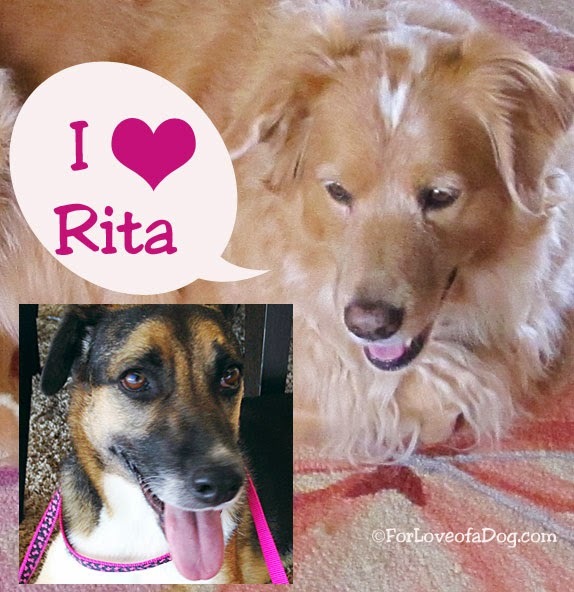 Very sweet - lucky Rita! That's so sweet. Rita is lucky! Oh, that is so sweet....of course Rita could not resist the handsome Jeffie!